Cravings. I love it when I find good food, or in this case, when it finds me. A lovely gift basket arrived at my doorstep this weekend with a delicious treat inside from Cooper Avenue. South Beach residents would know what I’m talking about. Cooper Avenue is a Miami hotspot with a plethora of choices of food and drink from their bakeries, restaurants and lounges. The modern marketplace is definitely a destination that I am putting on top of my list the next time I am in Miami. Judging from the taste of the chocolate chip cookie, I’m sure the rest is just as amazing. So, last week I tried a Maple Bacon and a Cheetos-flavored macaron. The East Village here in New York has a new addition on Saint Mark’s. 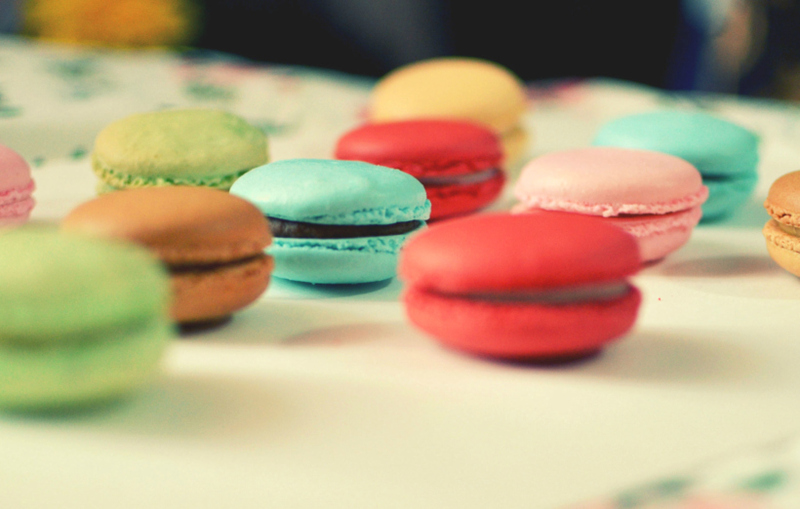 I’m talking about the Macaron Parlour. The place is adorable, and the fun flavors makes it a great date spot. So far my favorite flavor is Earl Grey — its just that yummy! If I’m ever in the mood for champagne truffles or NYC Trash, I know where I’m going: the Henri Bendel Snack Bar. Another favorite of mine is the chocolate covered espresso beans. It just launched during New York Fashion Week and is really a delight. Located on the second floor of the store, it has something for everyone. All the goodies are packaged so nicely that they make great gift items! Ohh macarons, I knew I forgot something when I was stocking up on hurricane supplies! Those look SO good!